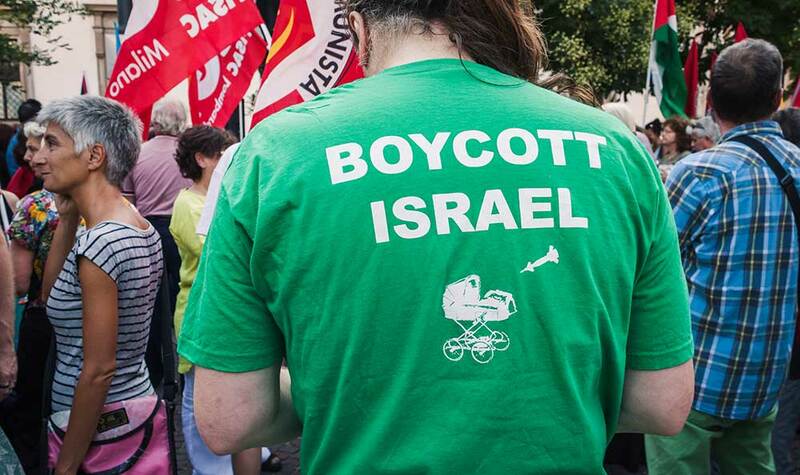 Does the BDS movement really know what it is doing? “Ooooff!” I thought to myself, “It’s hot.” Few things are comparable to an Israeli summer, and my body was adjusting late after spending the last two months in the States. Omer Adam’s song “Welcome to the Middle East” rang through my head as I marched into a local Aroma [coffee restaurant] in desperate need of an iced coffee and air conditioning. Stopping halfway through my commute to check my email and get some lunch, I found myself in the town of Kfar Saba. Somewhat annoyed by the heat and the fact that there is a line—which seemed to be as long as my commute—I checked my phone and responded to a few text messages while waiting. “Salem, how can I help you?” is asked to me in Arabic. I looked up surprised to see that it was my turn to order and that the entire Aroma was, for the most part, Arab staffed and occupied. Confused that he spoke to me in Arabic, I asked in Hebrew if they were kosher. He smiled politely, excused himself, and replied in Hebrew that they very much are. I took a second scan of the room and saw a few kippas proving the restaurant’s status. A bit impatient with me, he kindly asked if he could recommend a sandwich. I happily reply, “Yes!” I was in no mood to be decisive. “The eggplant and cheese is my favorite,” he said while ringing me up all at the same time. “Have a lovely day!” he handed me my receipt and card back with a big smile. His customer service was rather refreshing and I was satisfied with his sandwich choice as I sat down to eat. I opened my laptop in hopes of getting in a few minutes in of work. My home page opened to a news site. 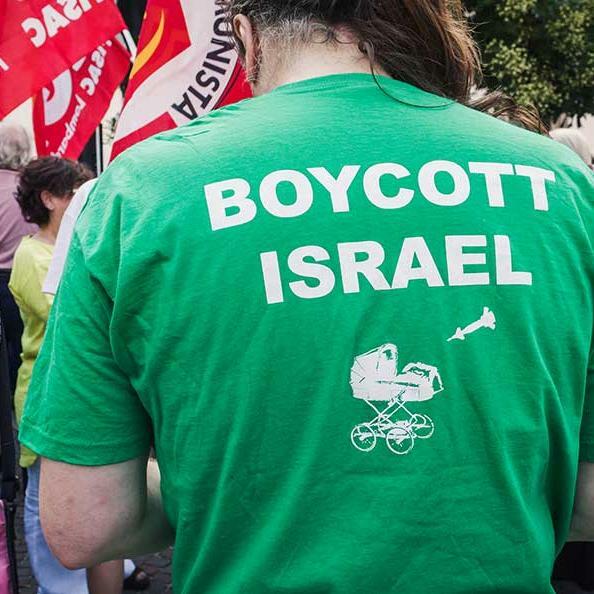 The front image was a young college student wearing a green T-shirt that said, “Boycott Israel,” with a rocket being launched into a baby carriage. At first I cringed, then I laughed a little as I looked around. To my left a large Muslim family talked excitedly together and would often erupt in a loud unanimous laughter. In front of me sat a cute elderly couple reading their newspapers. Her head wrapped in a traditional Jihab and her paper in Hebrew, while his was in Arabic. Happily sharing a kosher chocolate croissant together, the couple seemed perfectly content. I smiled slightly, thinking of the irony. “Boycott Israel!” the label read. Yes, I wonder how that boycott would affect these Muslim families who all seemed perfectly safe and happy with their Israeli lives. I scanned through the article briefly; words like “anti-Zionism” and “anti-Semitism” caught my eye in my hypersensitivity to the Israeli-Palestinian conflict. The entire summer had passed and her travels had taken her to Egypt to visit family, while mine took me to America. We went back and forth for a long time both speaking in English, Hebrew and a little Arabic as we shared about our summers. She told me how she finished her first-year preparatory program in the university with excellence and was granted a large scholarship to Hebrew University for biology and science. Yara and I first met at Ulpan (Hebrew language class) at Hebrew University of Jerusalem. We could not have been more different as students. She came with very little motivation; I came with a lot. She lived on the East side of Jerusalem; I lived on the West. She is Arab; I am Jewish. I fought in the IDF; she studied her advanced studies in Egypt. She had twelve siblings; I had three. She had never been to America; I had grown up there. We sat together our first week and didn't speak a word unless our teacher made us read out loud to one another. But soon after that, we very quickly became friends. While I loved her vibrant personality and her spirited opinions in class, I really thought there could not be two more opposite people in the world until one of our exchanges sparked up conversation about the army and my service. She asked me all about what I did in the IDF and how I felt about it all. Then looking at me she said, “I wish I could have served.” I was surprised by her response and she began telling me about how much she dearly loved Israel, and how much opportunity and life there is for her here. She loves to study and loves that she can at Hebrew University. She loves that she can build a future here and that she can express her faith freely here. She expressed concerns about the direction that the country is going but nothing more than the same concerns I had as well. She expressed how she also desires to give back to Israel. To be apart of defending her homeland and the place she wants to raise her family. Sitting in the Aroma cafe, reading headline after headline about boycotting Israel and the BDS movement, I mused if the “loud voices” of this movement had ever been to Israel. Had they ever experienced what I am experiencing now? Honestly, I don’t know much about the BDS movement, mostly because I don’t waste my time on things that are irrational, untrue, and construed by lies; but, what I do know is that from the inside, whoever is trying to “boycott” us Israelis is also boycotting healthy, happy Palestinian Israelis who dearly love their lives as Israelis. The differences between us can be stark, but our hope is the same: to live happy lives with opportunity in a beautiful place that holds a future for our kids. Maybe one day the BDS movement will come to Israel for a coffee in the land it tries to delegitimize. The new First Fruits of Zion Israel calendars feature a unique collection of professional photos of Israel and includes Torah portion readings, and special dates of biblical events, and an option to customize it for congregations, groups, and bookstores.